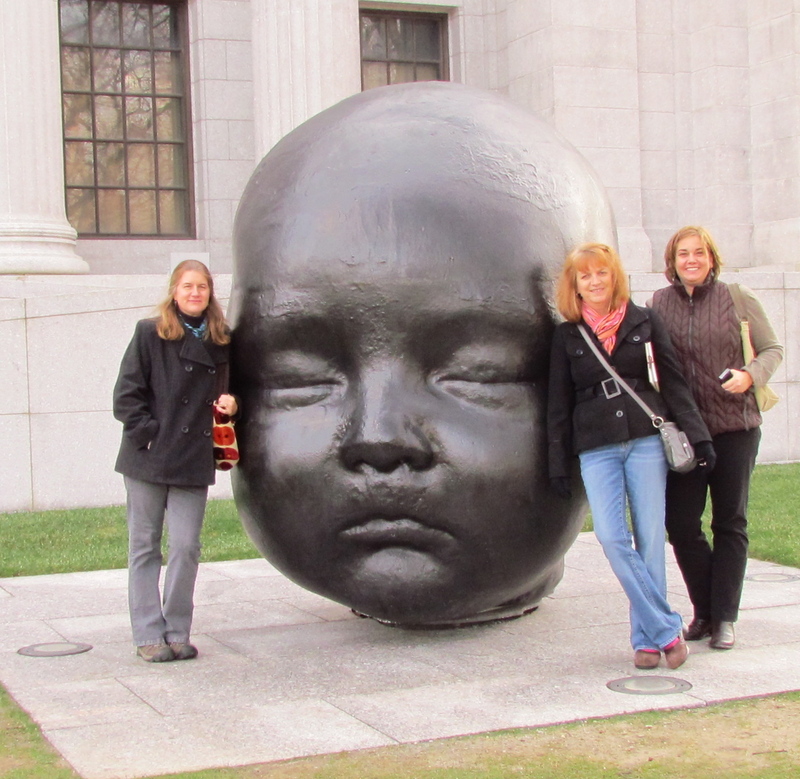 Stephanie Roberts, the big BABY HEAD( Antonio Lopez Garcia), me and Patty DeYoung at the MFA. It was amazing! Nancy Colella shot this photo of us. We saw the Degas show and watched The Clock. I want to go back and take on small chunks of the museum at a time and do some in-depth studying. "The Clock" was pretty cool, don't you think? I'd love to sneak in around 3:00 a.m. to see it!